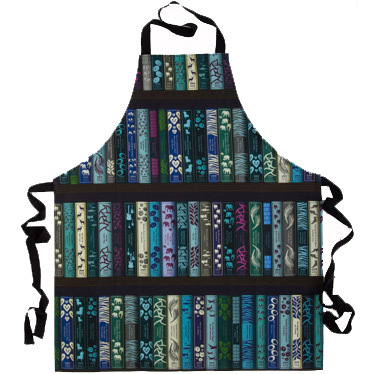 The aprons are manufactured from thick quality cotton drill fabric and digitally printed with a selection of our beautifully coloured book designs based on local history, arts, crafts, poets, culture, industry etc…all with slightly quirky tongue-in-cheek titles and authors. The book titles depicted include Windermere Char Char, Fifty Shades of Grey Wool, The Love District Guide How to Fleece a Man by Sally Shearer, The Flying Boat Brigade by Shortie Sunderland, and Wordsworth and the Railways by Bill Halt, providing a contemporary interpretation of the Lakes and Cumbria. Digitally printed and manufactured in the UK. Care instructions: Machine wash at 40°C. Cool iron. Do not bleach.